290 pages | 75 B/W Illus. 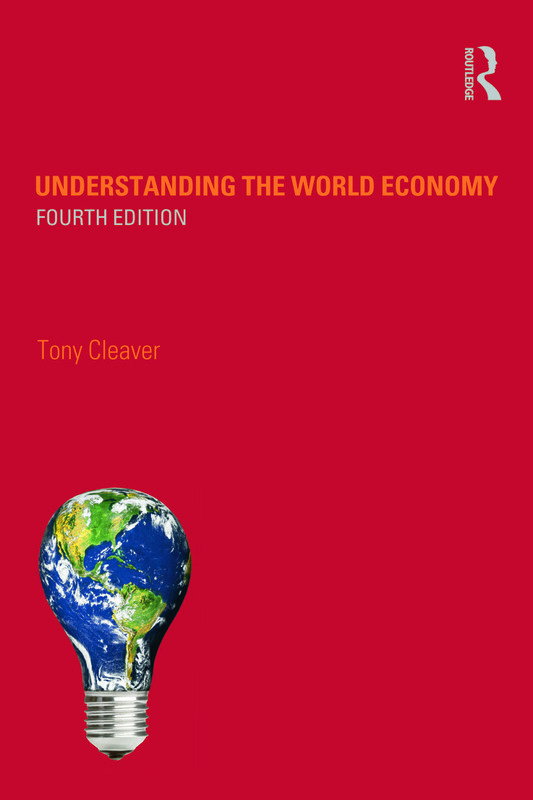 This fourth edition of Understanding the World Economy will continue to provide the reader with the clearest guide available to the global economic scene. Since the last edition was published in 2006, enormous changes have taken place. The world economy has been in upheaval with the biggest financial crash and ensuing recession since the 1930s; with a global re-ordering of economic power relations; with widespread demonstrations by those left behind; with divergent views about where Europe is heading; with a growing scarcity of essential resources; with increasing international terrorism and with increasing concerns of environmental degradation and climate change. To embrace such urgent issues, this text is an almost entirely rewritten version of earlier editions. Tony Cleaver takes a long look at the evolution of market systems and how they have liberated peoples on one side of the globe and yet driven others into debt, depression and despair. He analyses causes and consequences, and discusses (and sometimes dismisses) economic theories. This book takes the student through the major characteristics of the global economy in jargon-free non-technical language. Chapter summary diagrams and a wealth of boxes and tables make this an essential introduction for undergraduates and A-level students, as well as the casual reader. 1. Going to Market 2. Market Failure and the Great Debate 3. Unemployment and Inflation 4. Free Trade, Regional Agreements and Job Losses 5. The Trade in Primary Resources – Blessing or curse? 6. Customs Unions and Common Markets 7. Money, Banking and International Finance 8. Exchange Rates and Currency Union 9. Financial Crises, Sovereign Debt and Future Reform 10. Economic Development, Growth and Inequality 11. The Economics of Terrorism 12. Environmental Economics: Sustaining spaceship Earth 13. Conclusion: What future awaits us in the twenty-first century and beyond? Tony Cleaver is Visiting Lecturer at the Universidad de los Andes and at Universidad Nacional in Bogotá, Colombia. He is the author of Economics: The Basics, also published by Routledge.